Are your expectations in marriage making a big difference in your contentment and satisfaction?? Or discontent and disappointment? Think about life before your marriage. What expectations did you have? For years, I imagined my husband-to-be. So when I actually met him – and then knew that he was my husband – I was a little surprised. He was a lot like I always dreamed, but he also was so very much himself. He had his own unique personality and experiences and passions. Since he was his own unique self, there was absolutely no way I could have guessed what he was like. Similarly, there was absolutely no way I could’ve expected what our marriage would be like. Once we got married, I quickly figured out it wasn’t fair to let my expectations color what I thought of my husband. I needed to be fair. And I needed to get rid of a lot of my expectations. Do you know what you expect? Every wife brings expectations into marriage. Every husband does, too. But just because you have expectations, it doesn’t mean they’ll always be met. 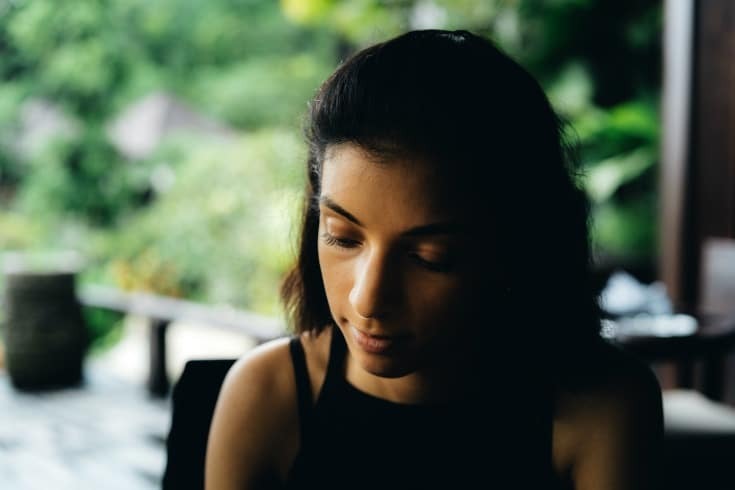 If you feel like your expectations are rarely met, it might be a hint that you need to examine what your expectations actually are. You might not even realize you have certain expectations. You may assume that everyone else lives a certain way or reasons the same way as you – but they don’t. Just because your parents’ marriage was one model to you, and you’ve watched other couples model other kinds of marriages to you, your husband will never know what you expect marriage to look like until you talk with him. And just because you have your own expectations, it doesn’t mean they’re the only option available. Your husband also brings a set of his own expectations, too. It’s impossible for each of you to meet all of each other’s expectations. 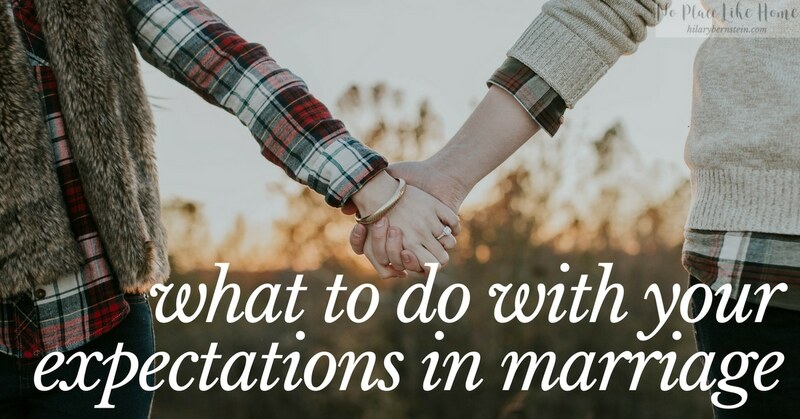 While expectations may be good, they also might hold you back from having an amazing marriage. 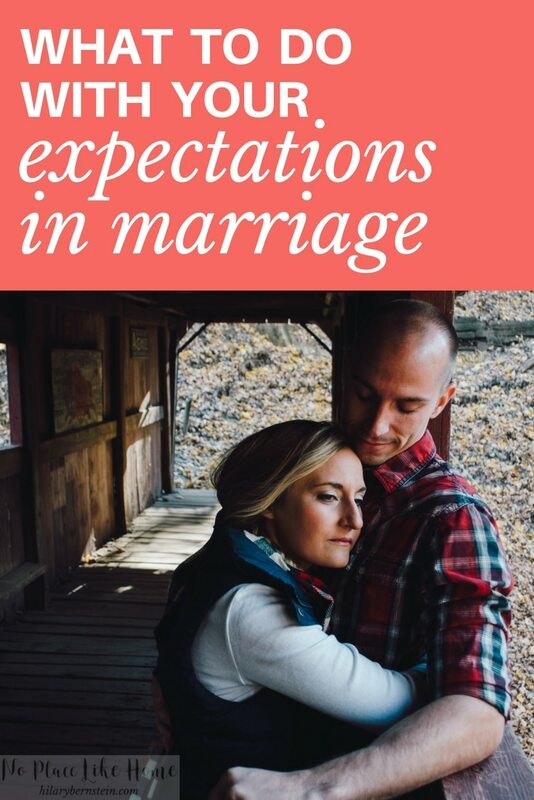 Think about the expectations both you and your husband have for marriage, for example. If you would discuss the expectations you both have – and marriages you’ve seen modeled – together you can talk through what actually would work (and not work) in your own lives. As you’re thinking through your expectations – and your husband’s – communication is vital. Remember that communication is so very important in marriage. And if the two of you aren’t taking time to communicate – or if you’re not communicating as clearly as might be necessary – you’ll both end up extremely frustrated and disappointed over unmet expectations. For example, if you think your husband should know exactly the gift you want to receive for your upcoming birthday or anniversary – yet you never tell him – please don’t be upset when you receive something completely different. The same goes for expecting your husband to know how you want or need him to help out around the house without ever talking about it. Or, pretty much, counting your spouse to just know what you want, need or expect ahead of time without ever telling him. He’s not a mind reader. Once you know what you expect and have talked everything over with your spouse, honestly ask yourself if your expectations are unreasonable. Some may be right on track. And other expectations might expect a little too much – or a little too little. You may not have to lower many of your expectations. But you may need to transform them into expectations that are fair … and that line up with Scripture. In this process, you might realize that you’ve been a little too critical with your husband because of your expectations – not because of him. If this is the case, you’ll want to readjust and keep readjusting until you find a sweet spot. As you continue to communicate with your husband and adjust your reality-based expectations together, you might be surprised by how you begin to work together on your marriage … and even start to understand each other better. Tell me about your expectations in your marriage. Have you had to adjust many of them? How have you and your husband worked through your differences? Disclaimer: I am a trained journalist, not a trained counselor. If you’re experiencing serious issues in your marriage, please consult a professional counselor. Disclosure: This post originally was published on Feb. 7, 2017. Links in this post may be affiliate links. This means that, at no added cost to you, I may make a commission on products purchased through these links. Thank you for supporting this website!